We begin this segment with another update on how frugality can be fun, as part of our "Your Money Matters" series. Then, the African American Quilters of Baltimore have been both preserving and pushing forward the art of quilting for two full decades. We’re joined by AAQB President Janet Waters and members Vera Hall and Paula Rooks to discuss their craft and the rich tradition of quilting they are a part of. Click on the podcast player below the pictures to listen to the interview. This segment also includes our weekly installment of Your Money Matters. 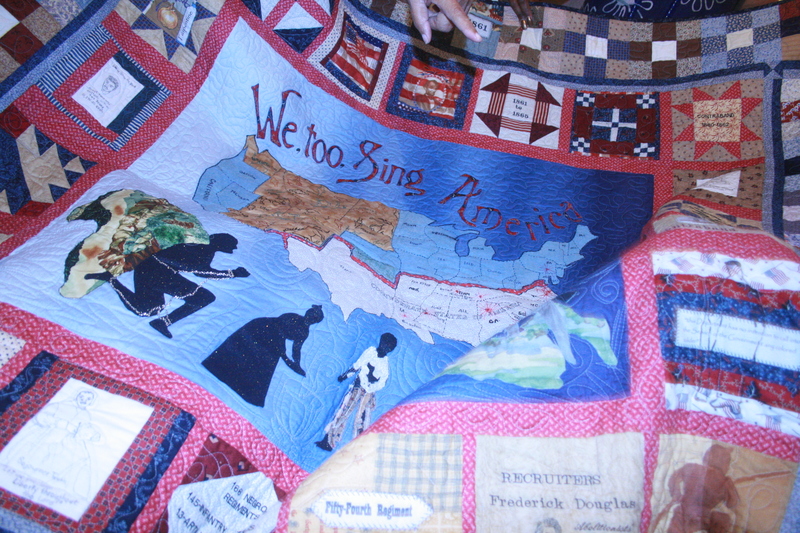 For pictures of more quilts, go to the AAQB website. Don’t miss a chance to see these quilts and more in person. "20 Years of a Pieceful Passion," an exhibit celebrating the work of the African American Quilters of Baltimore, opens on Saturday August 7, 2010 at noon. It is being held at the James E. Lewis Museum of Art, part of the Carl Murphy Fine Arts Center, at 2100 Argonne Dr. on Morgan State University’s campus. The exhibit will be up through September.